Many folks don’t have a local church they can attend and many churches or Bible colleges don’t have a music team in place to do live music. 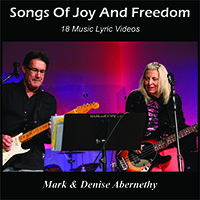 We created these lyric videos on DVD or USB drive as an answer to the many requests we have received for much needed scriptural praise and worship music. These 18 lyric videos have been artfully created to pair up with our original songs taken from our albums. So whether you have a DVD player, or computer with USB port, you can join us in singing joyful songs to the Lord -- none of the pleading and desperate music! Join with us as we rejoice in the Lord, and get caught up in His presence with some good praise and worship. You can check some of the videos with the below links.